It's only a single-bay NAS, but $140 for 3TB of storage and advanced software features is a steal. For simple setup and straightforward media sharing, Seagate’s Personal Cloud has no peer. It even manages to register itself on the network without user intervention. If that were all there was to it, it would be a great product. But populated with a 3TB hard drive for only $140? If you’re the competition, you’re crying foul. If you’re a consumer: Score! 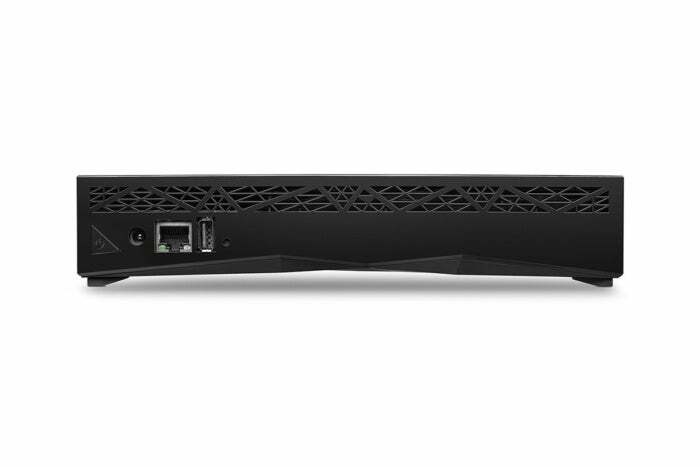 The Personal Cloud’s multimedia features include the Seagate Media server, Plex Media Server, and Nero MediaHome server. Plex provides client playback apps for just about every computer and mobile device in existence, which picks up the slack that vendors such as Apple have left by not supporting DLNA. Seagate also provides its own multimedia playback apps, but the format support is weak compared to Plex’s. There’s also easy remote access to your box and its files via the company’s Sdrive web portal. Just browse the web portal, enter you username and password, and you have access. 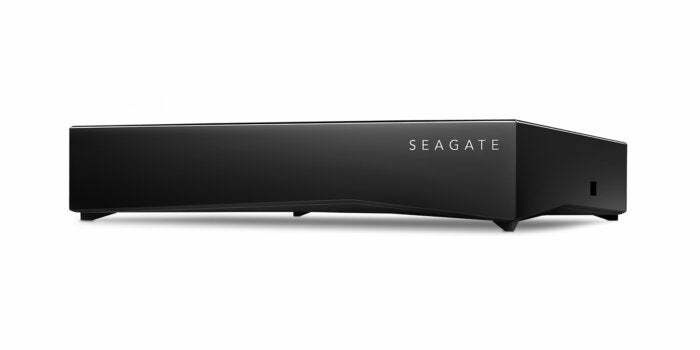 Innocuous in appearance, the Seagate Personal Cloud leverages Seagate’s years of experience with NAS into a highly affordable media streamer and backup solution for the home. Other apps include a BitTorrent client (albeit a primitive one), BitTorrent sync, and WordPress. Not an extensive collection, but nice basics. The HTML interface used for configuring the box isn’t quite as impressive as the windowed systems used by the QNAP, TerraMaster, Synology, and Zyxel NAS boxes, but it’s every bit as usable, and it has an appealingly clean look and design. The Personal Cloud is extremely versatile for backup, with local-to-remote and remote-to-local backup via rsync, ftp, and other protocols. 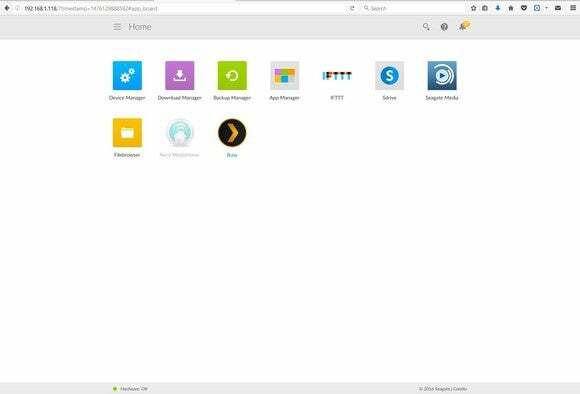 And it gets better: Seagate throws in support for IFTTT, a service aggregation portal that links the Personal Cloud with online services, including IoT services. 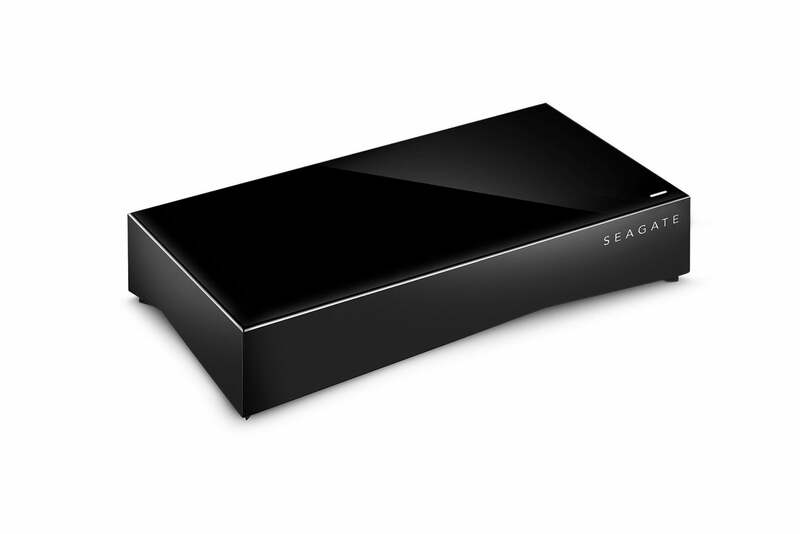 Seagate’s Personal Cloud interface is minimalistic and easy to use. It belies the unit’s surprisingly powerful feature set. IFTTT (IF This, Then That) let’s you define actions such as, “If I add a file to Dropbox, then copy that file to OneDrive” or “then copy that file to my Personal Cloud NAS.” You can use IFTTT to back up Instagram to the Personal Cloud, photos you’re tagged in on Facebook to the Personal Cloud, and so on. There’s more, but IFTTT is cool, and you should check it out even if you don’t buy a Personal Cloud. The Personal Cloud—at least the single-drive, low-end version with a Marvell 385 CPU that we tested—lagged behind the pack in performance. It’s anywhere from 20- to 40MBps slower reading and writing than most of the competition. That’s not surprising given there’s only 512GB of system memory and a slowish hard drive inside. But that’s still fast enough to stream 4K UHD HDR (2160p) video to at least one device. 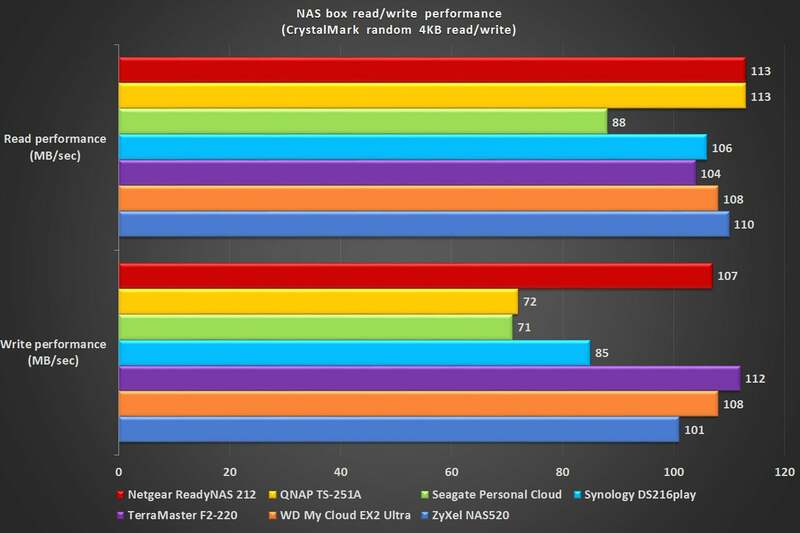 The Seagate 3TB Personal Cloud isn't barn burner, but it delivered faster write performance than the QNAP TS-251A. What the comparatively slow performance really means is that large-scale copy operations and backups to the Personal Cloud won’t be as quick as with most of the boxes. But unless you have a truly staggering amount of data, don’t worry about it—it’s fast enough. My only real nit with the single-bay, 3TB Personal Cloud is its inability to power down and wake up according to a schedule. You can shut down the unit from the browser interface, and there’s a triangular power button on the back to wake it up, but scheduling would largely eliminate the need. Also, the Personal Cloud’s trick of showing up on your network without having to define a workgroup, as per usual, has a side effect. When the Personal Cloud was the first device powered up on the network, it prevented Windows from enumerating other NAS boxes; i.e., the other boxes didn’t show up in Windows Explorer. They could still be addressed explicitly (\\TS-251\, etc. ), but whatever trick Seagate is using—and it’s a clever one—needs a little tweaking. Ports are minimal on the Personal Cloud, but adequate. That hard-to-see triangle on the far left is the power button. Note that while other Personal Cloud models share the same ease of setup and feature set, we’re talking specifically about the single-bay 3TB Personal Cloud whose bargain price has a great deal to do with its appeal. The 4TB version is still a reasonably good deal, but the others don’t offer nearly the same value. Warning: If you plan to store irreplaceable data on this single-drive box, make sure it’s synced elsewhere or backed up to a USB drive. Minor complaints aside, the single-bay 3TB Personal Cloud delivers mega-bang for the buck and provides all the streaming and backup features you could possibly need, including portal access and cloud storage if you want it. It’s also cheap enough that you can test out the NAS concept to see if it’s for you without breaking the bank. It's a major steal.